One of the problems with living in the real world is that we spend our time too close with the people who are important to us – spouses, children, and friends. As such, we’re so close that we sometimes don’t notice things or if we do, we don’t realize how important they are. However, even with all that, he was still my little boy It wasn’t until one Sunday at Mass when I turned to him and realized that my eyes were at the same level as his armpit that it actually registered that my child had grown up. My younger kids hit different phases in which they suddenly make major progress in one area or another. Sometimes, I don’t notice. Hey, you’re talking to the dad who can buy size 15 shoes for his son and not realize that he’s grown. Now, I like to think of myself as intelligent, and I’m actually not oblivious to the world around me. However, having said that, I know that I view the world differently than my wife does. I notice the funny noise when I drive her car and know it needs attention. I realize that the toilet is making an odd sound and needs a new flapper valve and fill mechanism. I do my part. Nevertheless, I miss a lot of important things that she points out to me. The wonderful thing is that I can’t do her part and she doesn’t do mine. However, between the two of us we get pretty much all of it figured out. It’s actually a great system. Tomorrow my mother is being moved to a hospice-like environment within the hospital where she was treated after her fall. Unlike a traditional hospice, this is a short term facility. The emphasis is to remove the hospital-like sounds and feel, so it’s a single occupancy room with no monitors beeping, no equipment forcing her body to work. We want to keep her pain free; we want her to have some peace and quiet. In other words, we bow to God’s will. Miracles happen, and I wouldn’t object to one by any stretch. If she were to make a recovery tomorrow, I’d be thrilled. However, the Bible reminds us that for all things there is a season – a time to be born and a time to die. However, having said that, the focus among the family has been on celebrating her life rather than waiting to congregate after her death. My mother always said, “Send me the flowers when I’m alive and can enjoy them – not when I’m dead and gone.” We spent what time we could with her. We held her hand. We talked to her and told her we love her. We told her it’s okay to leave. She always said that this was more important than a lavish funeral. If she leaves us, and as you can tell, I expect she will, I already have my plan. 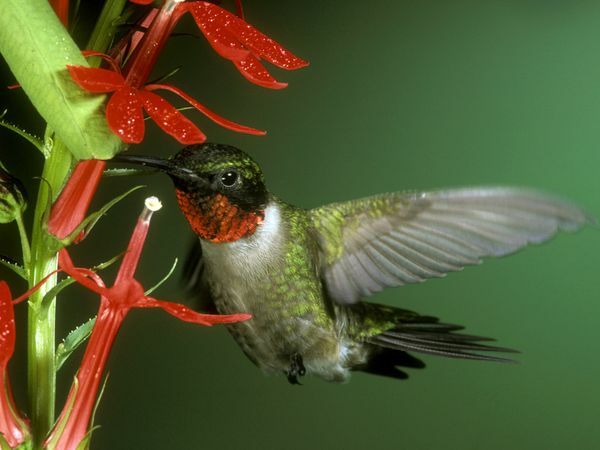 She loved hummingbirds, and collected little tchatchkies of hummingbirds which were strategically located throughout my parents’ home – somewhat to my father’s chagrin. Our front yard garden is a combination of shrubs, annuals and wildflowers. Much of it looks pretty god throughout the summer, but there’s a section that’s a bit bare. Next spring I plan on planting whichever flowers attract hummingbirds. I think she’d like that.